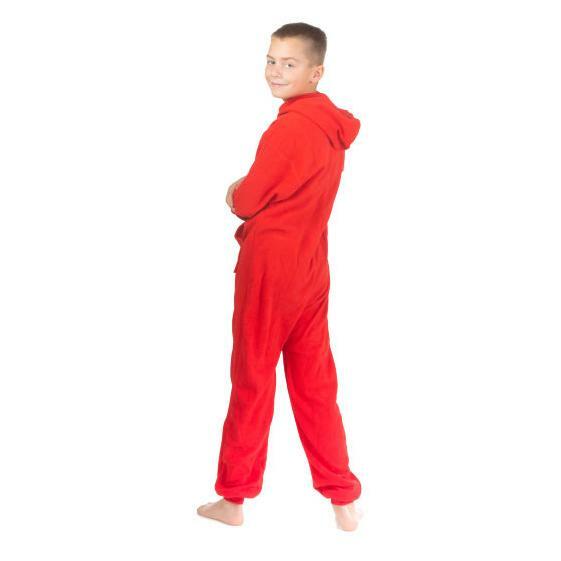 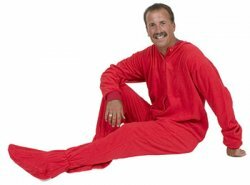 New from Big Feet is this warm fleece hoodie onesie jumpsuit pajamas with kangaroo pockets for kids in fire engine red. 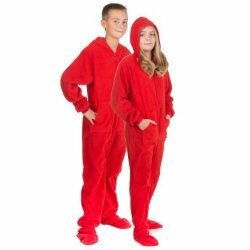 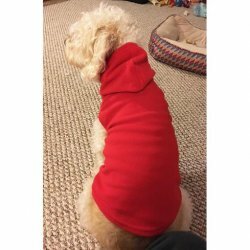 These fleece onesie pajamas with a hood are soft and warm. 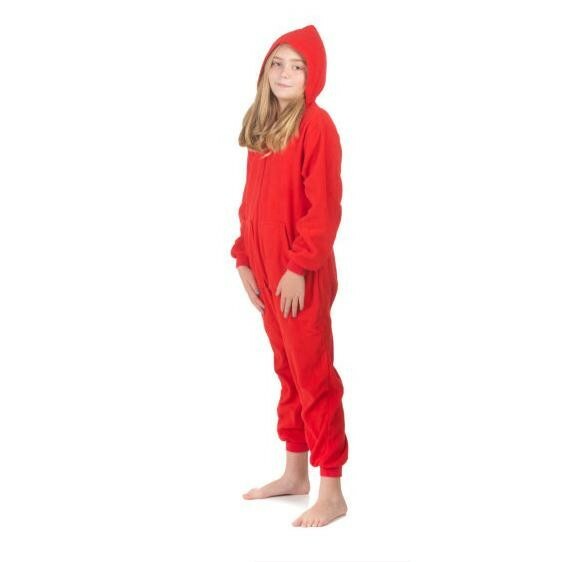 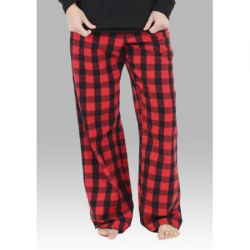 Perfect as pajama loungewear or a warm fleece jumpsuit for play.